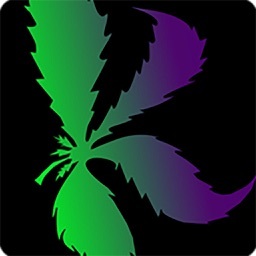 Note: Quickbud uses your location services for updating your arrival status to the dispensary & check if cannabis is legal in your state and also send push notifications. QuickBud is your ultimate bud connection! 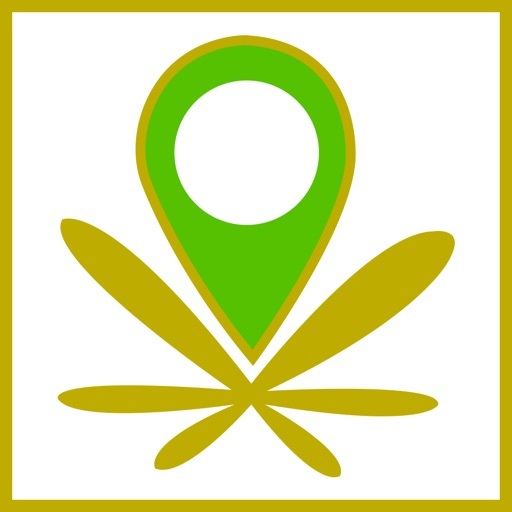 Download our App to locate and get directions to local medical and recreational marijuana dispensaries. 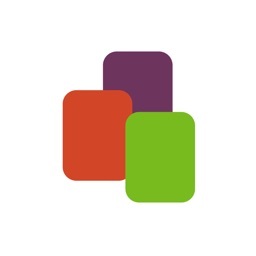 View their menus with pictures, pricing, descriptions, and even see their store hours. 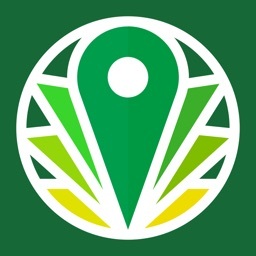 Expand your search to find the perfect dispensary by city/state and even by dispensary name. 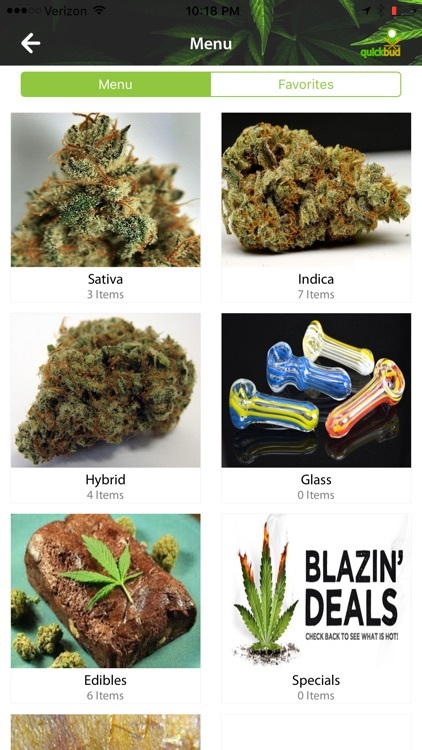 View the dispensaries Top Buds as determined by total likes from other users/patients, and even view pictures of their shop/clinic, inventory, and staff in their Bud Gallery. 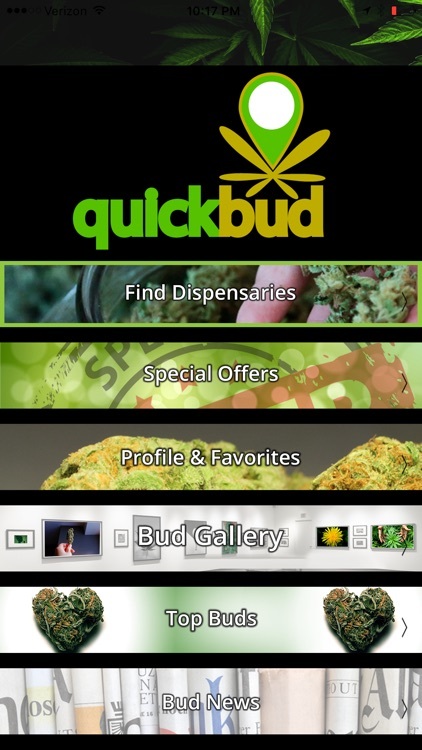 QuickBud is much more than just a marijuana dispensary location app. Bud Gallery- View pictures posted by QuickBud users and by the dispensaries, post your own bud pictures, and be sure to like/share your favorite photos. Top Buds- View the top buds nationally and by dispensary as determined by QuickBud users, and like your favorites to make sure they get top ranking. 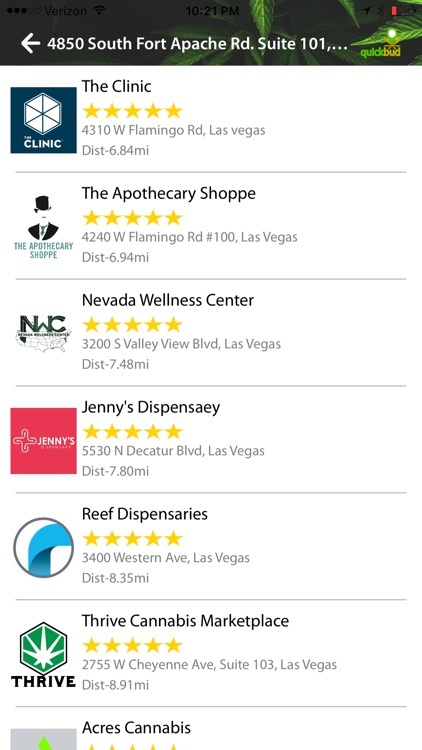 See a picture of the top buds and even find the dispensaries where they are sold. Bud News- Stay up to date on the latest bud news. 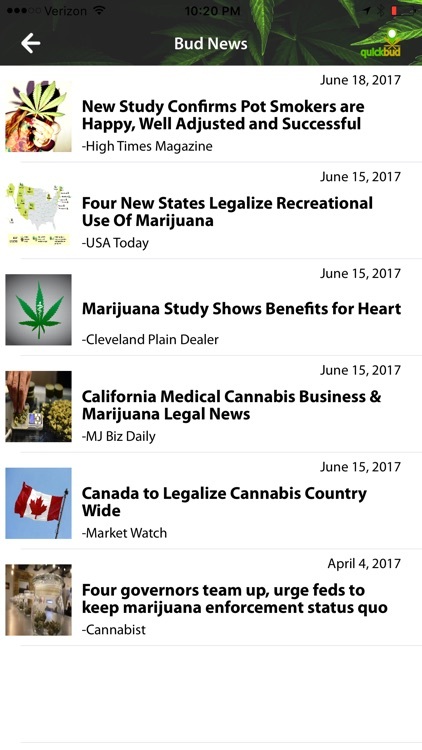 Read current articles and information on a variety of marijuana content from all the top sources in the industry. 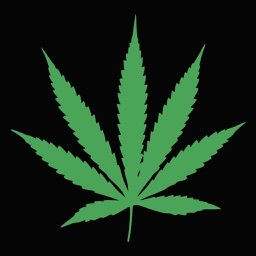 Special Offers- Receive special offers from your favorite dispensaries, and even dispensaries you have never tried. 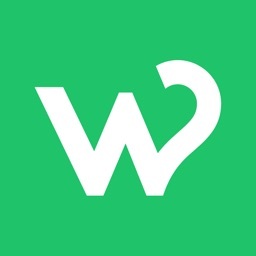 We all love to save money, so be sure to check the special offers section daily! 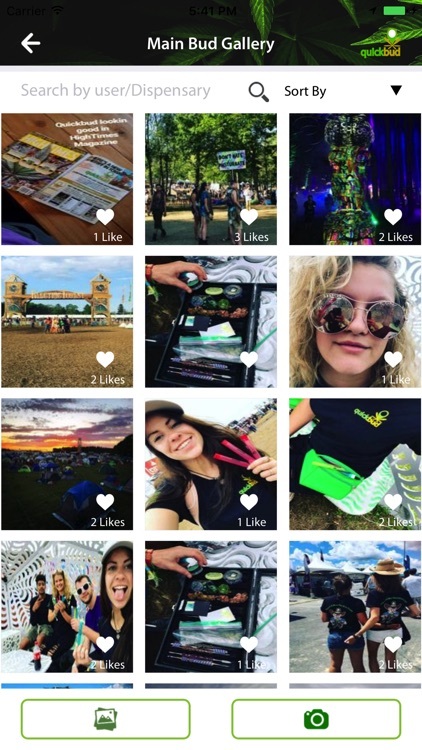 QuickBud is your bud connection… so download the app today and get connected. Note:"Continued use of GPS running in the background can dramatically decrease battery life."